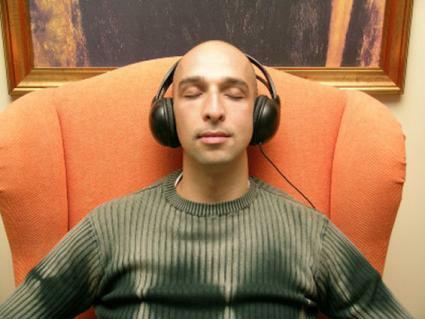 Sound can have a powerful effect on the mind, and it can serve as a vehicle for meditation. Guided audio meditations can help keep your mind from wandering as you focus on relaxation as a technique for managing stress. There are many no-cost meditations you can listen to online or download to your computer or mobile device. Guided audio meditations don't have to cost money. Visit the sites below to play or download sound files designed to help you relax and de-stress. The Mindful Awareness Research Center at UCLA offers a series of free mindful meditations that you can stream online or download from iTunes. Options include Meditation for Working with Difficulties, Body and Sound Meditations, Breathing Meditation, and more. This site provides details about the length of each audio file, so you can choose what to listen to based on your interest in the topic and the length of time you have available to meditate. Sponsored by the Buddha Dharma Education Association, BuddhaNet has an extensive list of free guided audio meditations in MP3 format. Subjects range from The Art of Attention and Contemplating Elements to Progressive Relaxation and Loving Kindness Instruction. Many other titles are available. The Insight Meditation Society, a highly-regarded center for meditation practice, provides a few free guided meditation audio files from Sharon Salzberg and Joseph Goldstein, as well as Dharma Talks on a number of subjects. The files on this site may be streamed or downloaded. The files are large and may take some time to download. Producers Jesse and Jeane Stern developed the Meditation Podcast with a series of guided meditations and tones to promote deeper relaxation. Features in the podcast series include Addiction, Positive Thoughts and Transformational Breathing. Visit the website to download or stream using the audio player embedded on the site. You can also access the meditation podcast via iTunes. The University of Metaphysical Sciences offers four different free meditations to download. These meditations include topics such as Deepening the Silence and Following the Breath. The free files are are an extension of the courses and retreats sponsored by the organization, though anyone can download and listen to them. These files on this site are quite large, so downloading will take some time. DickieMotherwell.com has two audio meditations MP3 files available for free download. The Grounding Meditation is about releasing your fears and grounding yourself to earth, while the Heal the Planet Meditation helps you decrease stress by tapping into your spirit. Ideally, you should listen to audio meditations while you are alone and are able to sit or lie comfortably. Creating a peaceful environment for meditation will aid in your journey into tranquility. If, however, you choose to listen to these meditations during work breaks or at other times when there are people around you, consider using headphones. They will allow you to block out background noise as well as keep what you are listening to from disturbing others.